A misfortune never comes alone ! The evil forces were right to the former Minister Essimi Menye. Working visit, two weeks before his ouster in the coveted post of Minister of Agriculture and Rural Development in the vast plantations Penja, Essimi Menye made a misstep that agrave daily. "Its potential is decreasing. He moving a vertebra, hence its disabled "; said Wednesday noon, correspondent Alwihdainfo his doctor. Monday, October 5, 2015, during the handing over to his brother-enemy, following the reorganization of the Government of 2 October 2015, Essimi Menye appeared tired, difficulty walking the stairs and supported by crutches but visibly pleased with a mission busy at the Ministry of Agriculture and Rural Development. To his credit, Cameroon was able to mobilize a prize pool of 1.333 trillion CFA francs, about 1.5 trillion expected FCFA to finance the National Agricultural Investment Programme (NAIP). Despite this encouraging result and many others, the name of the Minister Essimi Menye recent days is on the blacklist of banned individuals leaving Cameroon. The sources of the secret services of the countries indicated in Alwihdainfo that "the following persons are prohibited from leaving the national triangle: it is Bernard Messengue Avom, louis bapes, Biyiti bi Essam, Essimi Menye". All banned from leaving the country, their arrest is only a matter of hours. 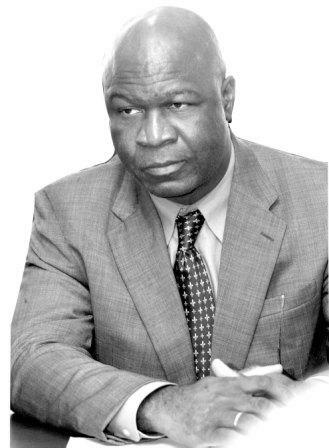 In the list, a parliamentary Laurent Nkodo, former director general of taxes.